Nestled in a valley among the rolling hills of western Wisconsin you will find the quaint little town of Downsville. You won’t find any stop lights here, but you will find unique businesses, an elementary school, many kind and wonderful people, and the Christmas nativity. Sponsored by the local telephone company. 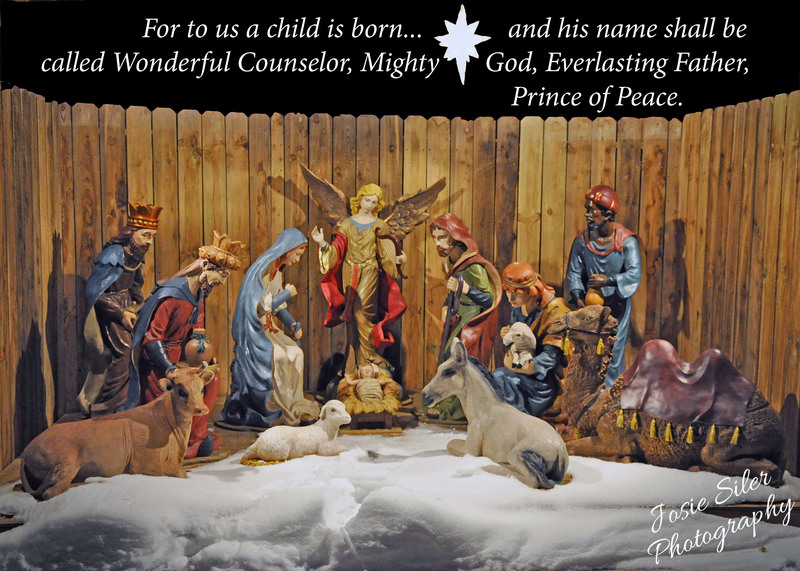 West Wisconsin Telcom, the Christmas nativity resides in the pavilion on the main drag through town – also known as County Road C. There you’ll find Mary and Joseph, an angel and the wise men bearing their gifts, a shepherd with his little sheep, and of course the baby Jesus. A cow, donkey, and regal camel bow their knees to the King of kings as they all rest in the stable under the star of Bethlehem. As far as Christmas nativities go, this one is my favorite and it’s something that my hometown of Downsville is proud of. If you’re ever in western Wisconsin around Christmastime, take the turn off of Highway 25 on to County Road C. Stop for a bite to eat at the Knapp, Stout, & Company Coffee House, Cubby’s, or the Timber Inn Bar & Grill before making your way down the street to visit the Christmas Nativity. Take a few pictures, tell your kids the Christmas story, and remember why we celebrate Christmas. After all, Christmas isn’t a season, it’s a person. We celebrate Jesus Christ because He is the greatest gift we could ever receive. Merry Christmas, friends. May God bless you richly this Christmas season!